CRANBROOK, B.C. 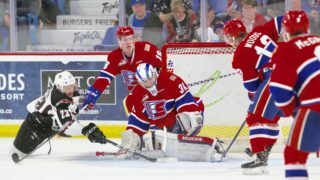 – The Spokane Chiefs used a three goal third period to snap a 1-1 tie on their way to a 4-1 victory over the Kootenay ICE Friday night in Cranbrook, B.C. Hudson Elynuik led the way with two goals and two assists, while linemate Kailer Yamamoto also scored two goals with one assist. With the win, the Chiefs are just three points back of Portland for the final playoff spot in the Western Conference. 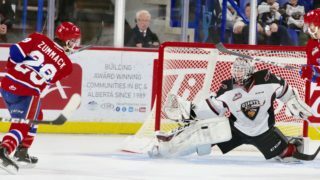 Despite outshooting the ICE 15-10 in the first period, the Chiefs trailed 1-0 after one on a Zak Zborosky goal midway through the period. 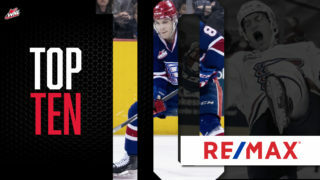 Despite having to kill two ICE power plays in the second, Spokane outshot Kootenay 20-4 in the middle frame and drew even when Yamamoto tipped an Elynuik shot past ICE goalie Payton Lee at 7:55 of the period for his team-leading 24th goal of the season. 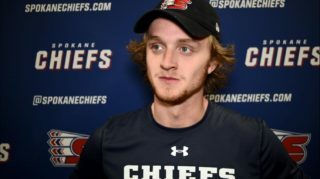 Kootenay looked to take the lead on a power play chance early in the third, but Jaret Anderson-Dolan swiped the puck to an open Elynuik for a partial breakaway, and Elynuik netted his 4th shorthanded goal of the season at 4:07 to put the Chiefs up for good at 2-1. 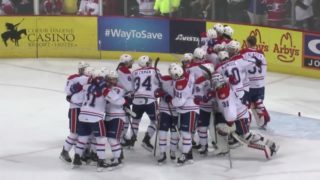 Elynuik then found Yamamoto on a rush at 9:24 for Yamamoto’s second of the night to put Spokane ahead 3-1. Elynuik capped the scoring and his four-point night when Yamamoto fed him for an empty net tally at 17:20 to finish off the 4-1 victory. Spokane out shot Kootenay 50-25 in the contest, going 0-for-4 on the power play and a perfect 4-for-4 on the penalty kill. Jayden Sittler picked up his second straight win on the road trip with 24 saves; his 11th win of the season. 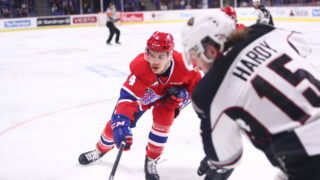 Spokane is now 2-0 on the season against the ICE and hope to make it three-straight when they host Kootenay Saturday at the Spokane Arena at 7:05 p.m. Mike Boyle will have the radio call on 790 KJRB and 1510kga.com, starting with the pre-game show at 6:30 p.m.
Tickets for Saturday night and all Chiefs home games are available in-person at the Chiefs’ Ticket Office, over the phone at 509-535-PUCK or online at ticketswest.com or spokanechiefs.com.